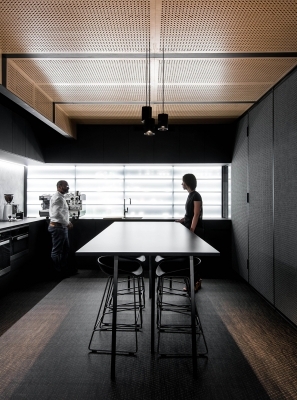 Working to the philosophy of creating a dynamic, raw interior, Hillam’s final build resulted in a multi-layered, textured environment. 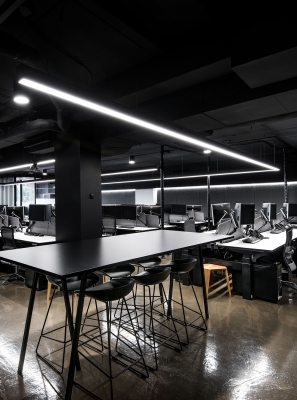 Housing 40 people, the flexible workplace has a series of openable spaces which extend into a large open area, combined with open plan sit-to-stand workstations promoting an Activity Based Workplace. 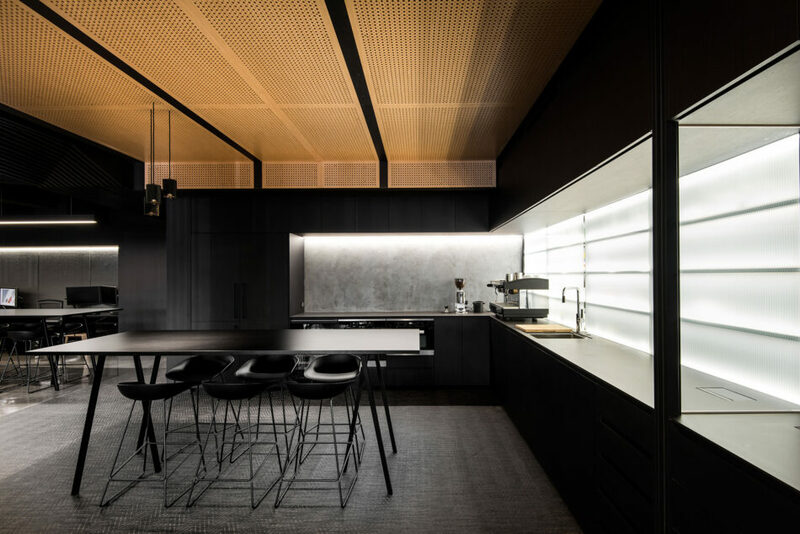 The restrained palette is predominantly timber, concrete and glass. 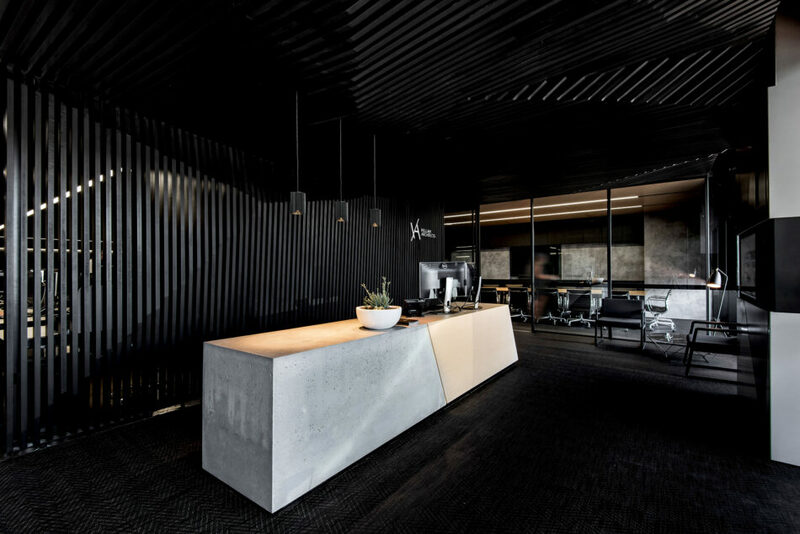 The existing concrete slab, structure and services were left exposed and painted out, then paired with a directional lighting concept resulting in an interior that speaks of a dynamic, yet modern industrialist vibe. 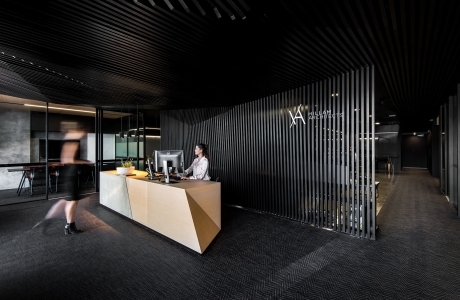 Key drivers involved creating a sense of arrival and an instant immersion into the space, with the design encouraging transparency from reception through to workspaces. 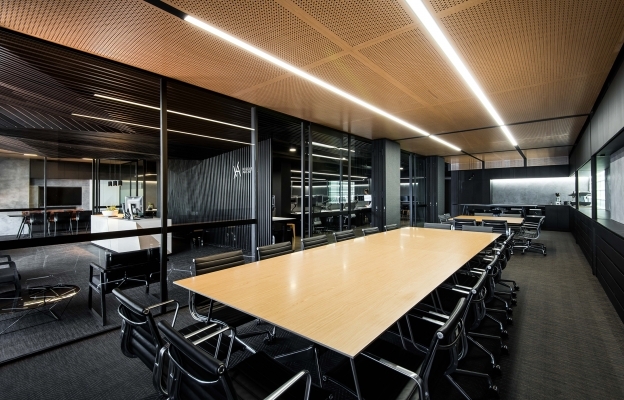 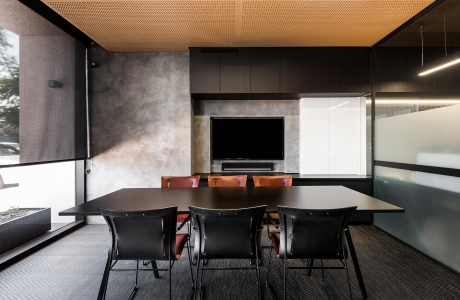 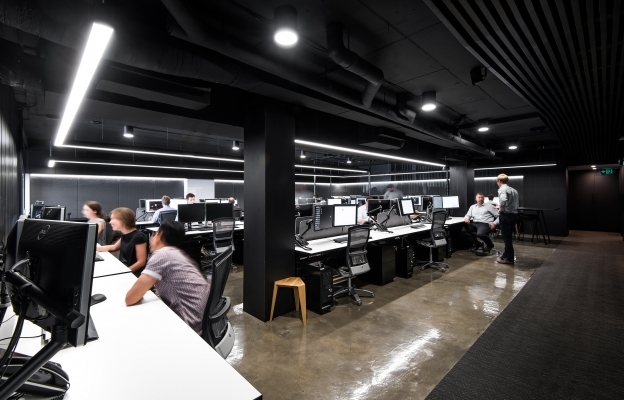 Collaboration was critical to the design studio environment, therefore open shared zones are supported by a series of workspaces which allow our architects and designers to choose an appropriate space dependent on the task.